At "Purdah" we are pleased to offer you elegant and elaborate curtains, quality rods and express service. A wide range of styles and several fabric options are available. 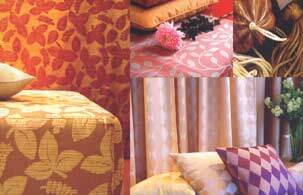 All curtains are made by skillful staffs and made from perfection pattern matched. Also available with carpets, wallpapers and bed throws. So why not visit our showroom. If you would like to visit our showrooms for more information or just need some general advice, our fully trained staffs await to help you.